It's Wednesday! But even though we're halfway through the work week, Adam recently found out that he is working even more required overtime this weekend. Boo! So we decided that we'd have some mid-week fun by inviting a few friends over to play some card games, and having a glorious ice cream sundae bar! What a smörgåsbord! The spread for our sundae bar was bountiful and totally rad! I'd be lying if I didn't admit that Adam and I had a *cough* few ice cream treats. Our sundae bar was packed with some of our favorite treats from Safeway--Ben & Jerry's Cherry Garcia, Breyers All Natural Vanilla, Magnum Double Chocolate, and loads of yummy toppings including hot fudge, marshmallow, chocolate chips, sprinkles, caramel bites, whipped cream, and caramel drizzle. While Adam was cleaning up the house before everyone came over, I started making him a Ben & Jerry's Cherry Garcia sundae. 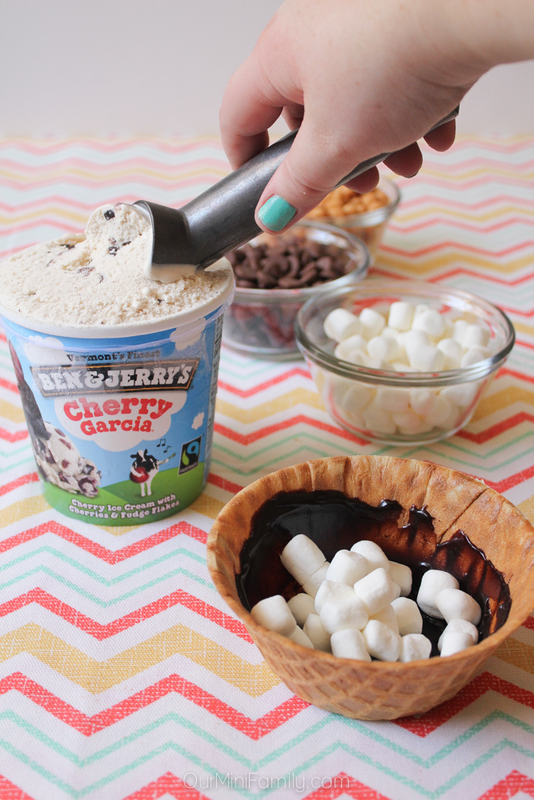 I started off by coating a waffle bowl with hot fudge, and then layered the bottom with mini marshmallows. 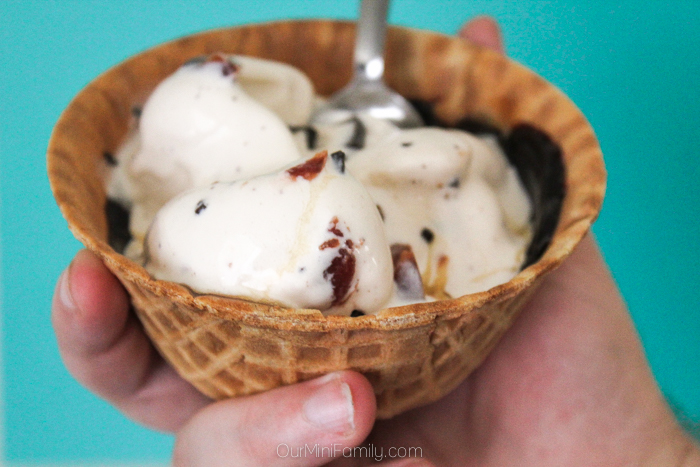 I added in a few small scoops of Ben & Jerry's Cherry Garcia ice cream, and then topped it off with some caramel drizzle. 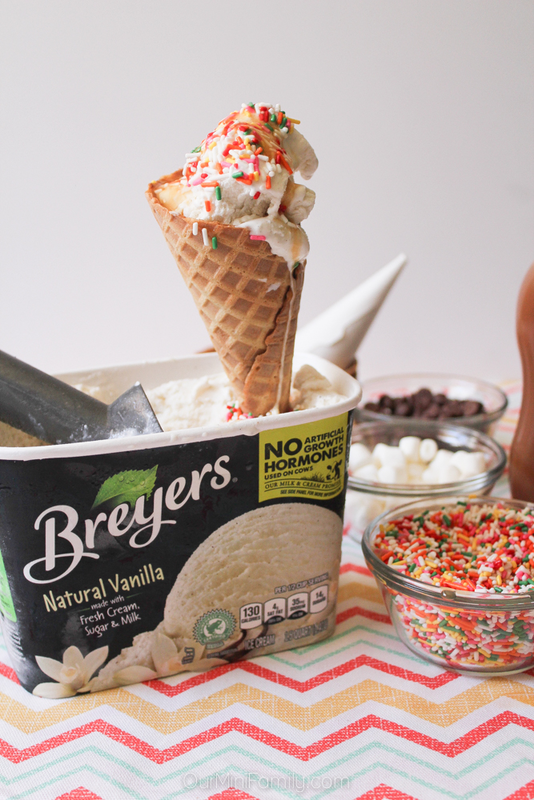 After our friends came over, we invited everyone to make their own ice cream sundaes and dig right in! 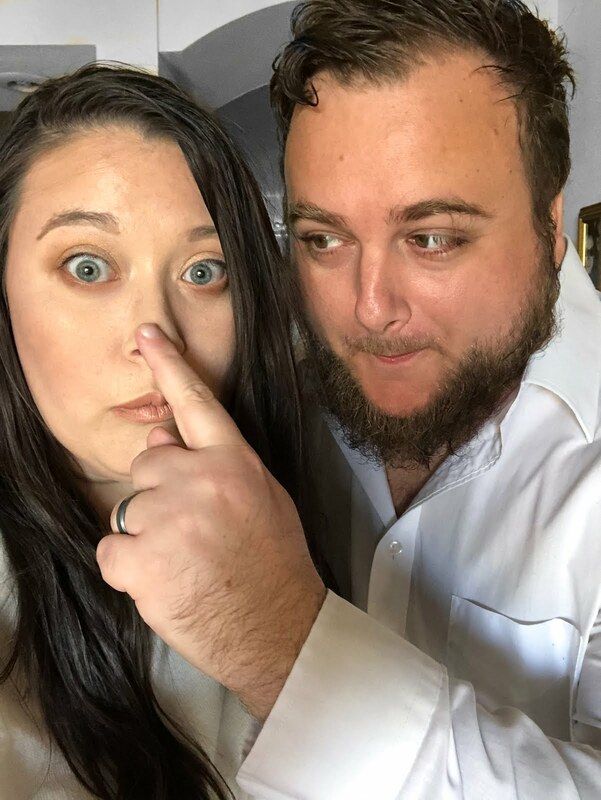 At the end of the night, after spending hours of playing card games and spending time together, I had realized that we were almost entirely out of ice cream! My favorite ice cream of the day was putting my own spin on the Magnum Double Chocolate--I heated up a little bit of hot fudge, and then dipped the Magnum Double Chocolate into it; I knew I wanted to enjoy the last of the rainbow sprinkles, so I dipped my hot fudge covered Magnum into the sprinkles, and then threw it into the freezer for 5 minutes (so the fudge and sprinkles would stay put). 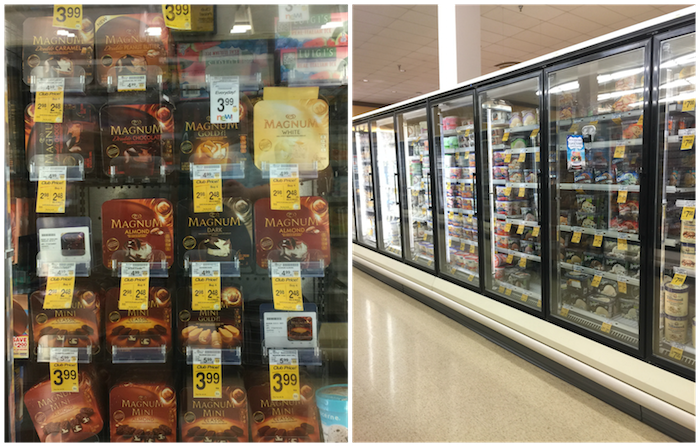 Next time I go grocery shopping at Safeway, I'll definitely be picking up another box of Magnum Double Chocolate! 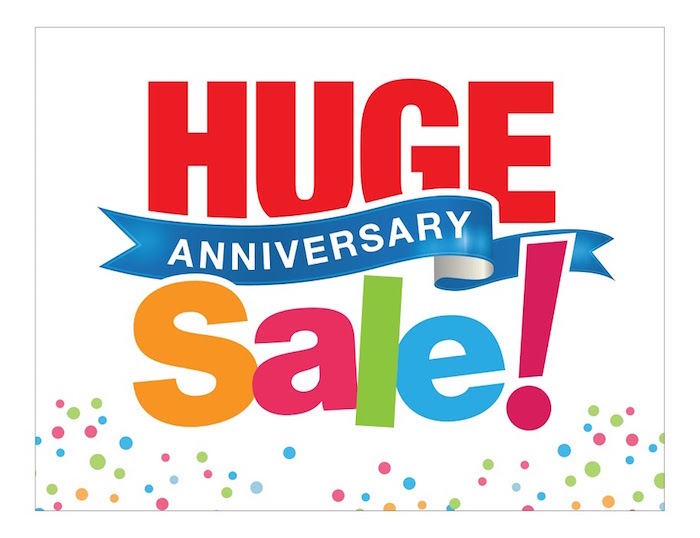 I am really excited for the upcoming Albertsons (and banner stores) anniversary sale--there will be lots of great deals on brands that I shop like these yummy ice creams, Hellmann's/Best Foods Mayo, Country Crock Margarine, and even Lipton Tea! Do you shop at Albertsons or Safeway? 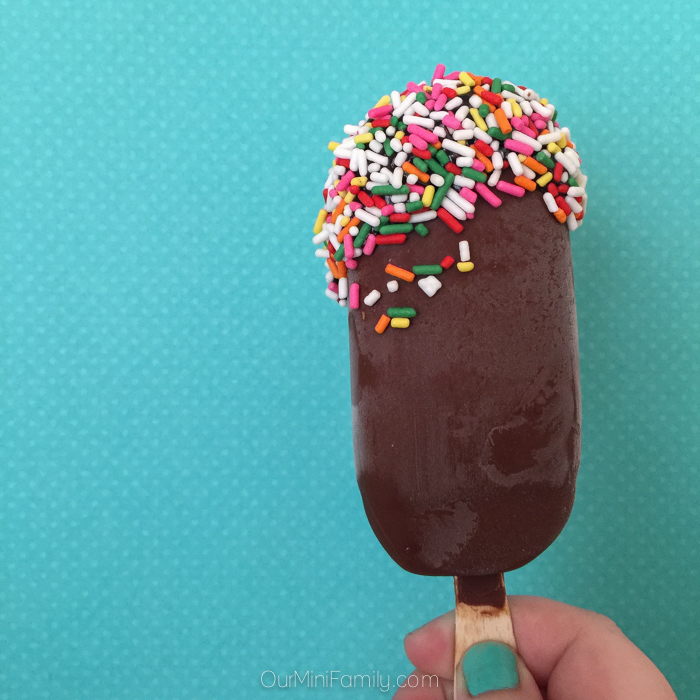 Albertsons/Safeway is one of my main, go-to grocers--join me and shop the HUGE Anniversary sale and stock up on your favorite ice-cream brands 7/29-8/11. 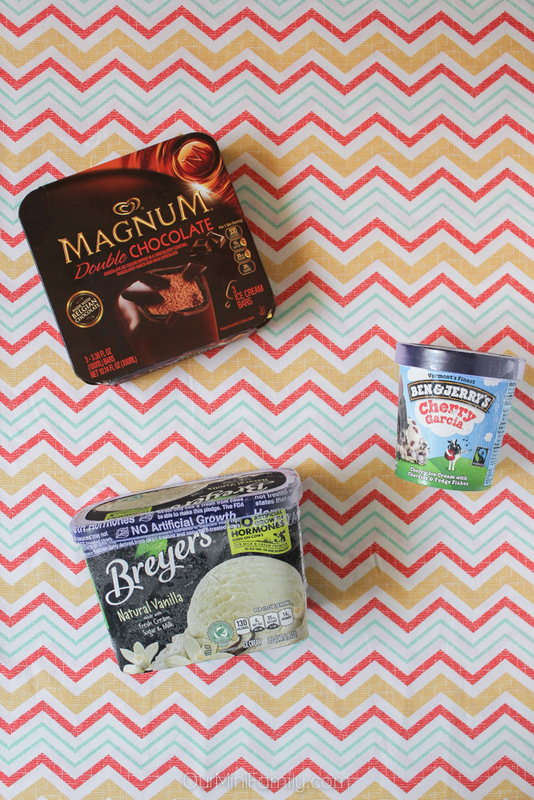 What's your favorite ice cream sundae combination? Oh dear goodness, all of those goodies look amazing! 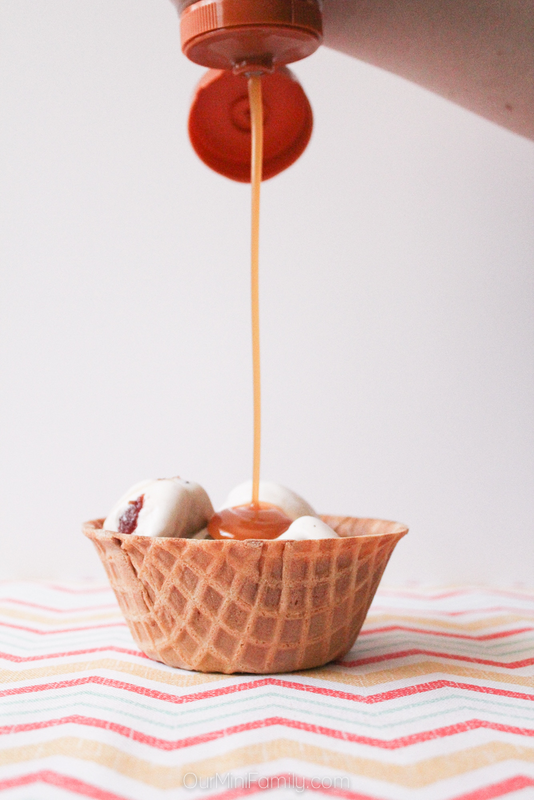 I love the little waffle bowls; I didn't realize they made those! Oh yes!! The waffle bowls are fabulous! Oh yes the Magnum bars are so decadent--with the upcoming sale, you can get them at a lower price! And yes it's definitely great to be able to blog about something I'm already passionate about *coughs* eating lots of ice cream. Haha! Oh yum...that Magnum look delicious! We're doing a birthday party soon and going to have a sundae bar so the sale is perfect thanks! You are more than welcome--I hope you have a blast at your upcoming sundae bar! 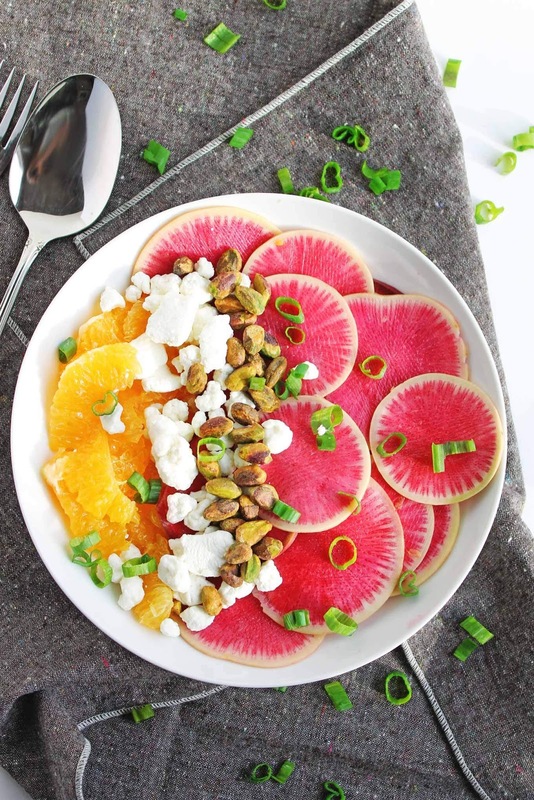 Oh this looks amazing!! I think we need to do a sundae bar one of these nights!! Great suggestion! We are mainly Safeway shoppers, we don't currently live by an Albertsons. And this sounds like such a fun get-together with friends, especially for summer! thanks for the idea! What a fun idea! 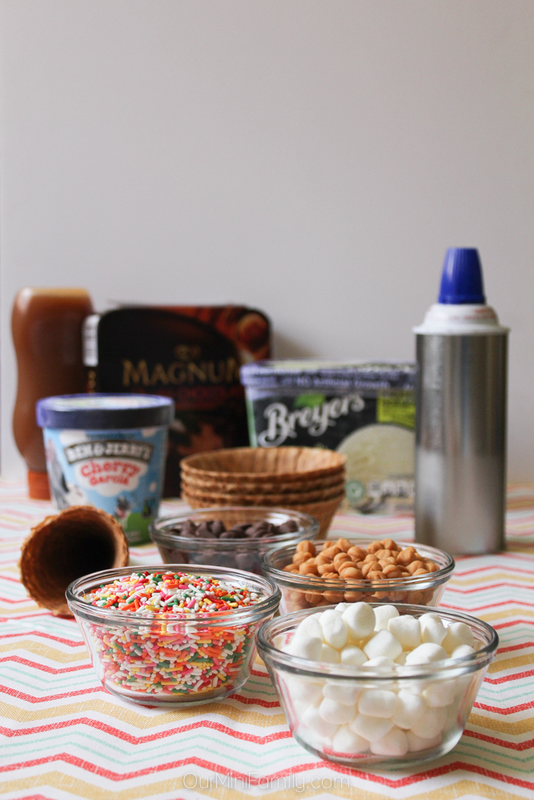 I bet my kids would love for me to set out a ice cream bar, I think I am going to surprise them and do the same! 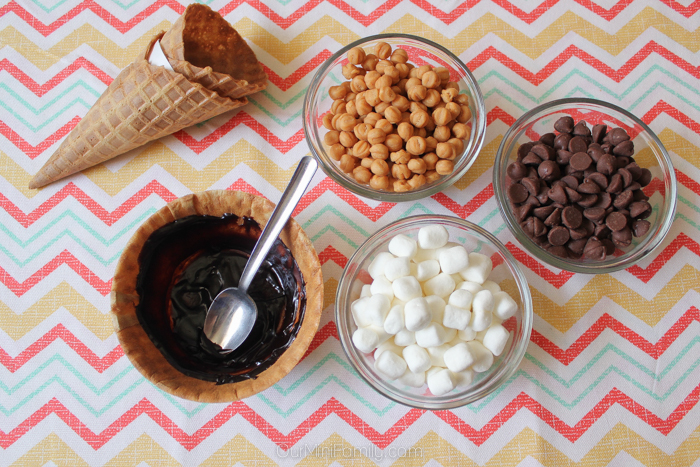 As a kid, it was like a dream come true whenever I'd go to an ice cream bar (or got to make my own sundae). I want to find those waffle bowls. Our stores don't have any at all - I've asked and asked! Your Safeway doesn't have them? I'd ask your Safeway store manager if they have it, or if maybe there is a flagship store nearby that does or something. Sorry you've had issues finding them! We love to host ice cream bars for the kid and their friends!! I love the deals at Safeway its my go to store! That's so awesome, Jennifer! And I love a good deal at Safeway, too! Such a great idea! Especially during the hot summer months! This is a great idea. Great photos and now I want some ice cream!